"I've already discussed how important it is that the child narrate after just one reading. If he can't, don't let him get the impression that he may, or must, re-read the passage. A look of slight regret over the gap in his knowledge because of the missed reading will be enough to convict him. The ability to read with focused total attention isn't learned if children are allowed to daydream during lessons. For this reason, reading lessons must be short. 10-15 minutes of fixed attention to one lesson is enough for children aged 9 and under. A lesson this long should be long enough to cover 2 or 3 pages in his book. The same time limit applies to children who aren't reading yet, and are listening as their lesson is read to them." Knowledge is given to them with lessons and lectures, but students aren't learning how to study books and how to be interested and enjoy them for themselves. This habit needs to start early. As soon as the child is able to read, he should start reading some of his books on his own. He can read history, legends, fairy tales and other appropriate books. He should be trained right from the start to expect one single reading to be sufficient in order to narrate from it. That will motivate him to develop the habit of slow, careful reading to absorb information even when he reads silently, because he will read every phrase deliberately to understand its meaning. 'Children under nine take care of their composition instruction by narrating. Narrations can be varied with simple exercises like writing about a walk they took, or a lesson they studied, or some simple matter they know about. They might write part of it and tell part of it. . . If they narrate first of all, they will compose sooner or later, but they should not be taught 'composition.'" It's interesting to hear 7 or 8 year olds tell back a long story from this book without missing any details and getting everything in the right order. Yet their narrations aren't merely parroted phrases from the book. When a child really enjoys something, his individual personality comes through in his exuberance at talking about it. With this book, the child tells back the story accurately, but in his own words while still retaining some of the author's style. By the way, it's very important to let children narrate in their own way. They shouldn't be coaxed and helped with cue words from the text. A narration should have the child's unique stamp on it as evidence that the material has been assimilated and gone through some processing in his mind. Narrations that are nothing more than rote memorizations are of no value to the child. I've already talked about the kinds of old chronicles that should nourish children's minds. But often, these are too spread out to be used successfully for narrations. It's better to use appropriate short tales for narrating. Narrating and illustrating aren't the only ways that children express the ideas that fill them when they are exposed to great materials. They will also role play their history lessons, dressing up, making up vivid, detailed episodes, acting specific scenes. Or they'll have a stage and make their dolls the actors, while they paint scenery and make them talk. There is no end to the creative ways children will find when they have something to express. This process of getting ideas fom the text isn't the only thing we need to do with books. 'In all work there's some profit.' At least, there's profit in some work. A book needs to make a child expend some effort in thinking. The child needs to make generalizations, classify, infer, make judgments, be able to visualize, discriminate, or use his capable mind to work in some kind of way until the knowledge in the book is sorted so that some is assimilated and some is rejected, according to his own decision. In the end, he's the one who decides what he'll get out of a book, not his teacher. The easiest way to deal with a paragraph or chapter is to have the child narrate it after a single reading that he's paid close attention to. Only one reading, no matter how slow, should be the requirement, because we tend to make sure we'll have another opportunity to 'find out what it's all about.' If we don't get a clear grasp of the daily news, there's always a weekend edition. If we still haven't got it, there's a monthly news magazine, or a quarterly review, or an annual report. In fact, many of us are content to let present events, history in the making, pass right by us, and it doesn't bother us. We have a false sense of security in knowing that, in the end, we'll find out what happened one way or another. This is a bad habit to get into. We should make sure that our children don't get into that habit by not giving them a vague expectation that there will always be a second and third and tenth opportunity to do what should have been done the first time. There's a big difference between intelligent reading that a child does in silence, and a mere cramming of information in order to repeat it back like a parrot. It's a good educational exersize for the child to be able to give the different points in a descrption, or put a series of events in proper sequence, or reconstruct the line of an argument point by point--after reading the passage just once. This is a skill that lawyers, publishers and scholars work to acquire. It's an ability that children can acquire easily. And, once they have it, they'll have crossed the bridge that divides readers from non-readers. But that's only one way to use books. Some other things that can be done are numbering the statements in a paragraph or chapter, analyzing a chapter, dividing a chapter into paragraphs with suitable subtitles, arranging and classifying series, tracing causes to results and tracing results back to causes, analyzing the characters of people in a book and considering how character and circumstances work together to produce a certain outcome--getting life lessons and learning how to act, which is the living knowledge that can make practical science out of any book. All of this is possible for students. In fact, they haven't truly begun their education until they start using books this way. First of all, the teacher's role is to see what needs to be done by looking over the day's lessons beforehand to see what mental discipline and vital knowledge can be gotten from various lessons, and then to plan questions and tasks that will give his students a full scope of mental activity. Writing notes in the margins of books is fine if it's done neatly and beautifully--books should be handled with respect. Numbers, letters and underlining can be used to help spot points and to save the needless work of writing out notes. Let the student write out a half dozen questions about the passage studied. He doesn't even need to write out the answers if he understands that the mind can only truly know whatever it can rephrase as an answer to a question that it asks itself. (c) In each 12-week term, students read 1000-3000 pages, depending on their age and level, from a variety of scheduled books. Such a large amount of material allows only enough time for a single reading. Comprehension is tested by narration, or by writing on a test passage. By the time term exams come up, so much material has been covered that reviewing it all would be impossible. But the children know and retain what they've read. They can write about any part of it easily and clearly with dramatic style. But someone might say that reading or hearing different books read out loud chapter by chapter and then narrating is merely memory work. But that can be easily tested. Before turning off your light in bed, read a newspaper article or a chapter from Boswell or Jane Austen, or an essay by Charles Lamb. As you go to sleep, narrate silently to yourself what you just read. You'll be disappointed with the results, but you'll find that the act of narrating requires every power of your mind. Points and details that you didn't notice come into your memory. The whole thing is visualized and brought into focus in an unusual way. What's happening is that the particular scene or argument has become part of your personal experience. You have assimilated and know what you read. This is not memory work. In order to memorize, we repeat a passage or series of points or names over and over, inventing little clues to help us. We can memorize a string of facts or words this way, and that memory is useful in the short term, but it isn't really assimilated. After its purpose is served, we forget it. That's the kind of memory work students use to pass exams. I won't try to explain (I don't even understand!) this power to memorize. It has its temporary use in education, I'm sure, but it must never take the place of the main tool, which is the ability to focus the attention. Long ago, a philosophical friend used to quote this saying: 'The mind can know nothing except what it can produce as an answer when it asks itself a question.' I haven't been able to trace the saying to its author, but over the last forty years, I've become more convinced of its importance. It implies that questions shouldn't come from without (this doesn't include the Socratic method of questioning to draw out students' thinking for the purpose of teaching morals). This internal questioning is necessary to be certain of something intellectually, to really own the knowledge. For example, if we want to get the details straight in our memory after a conversation or incident, we go over it again in our minds. That 'going over' process is the self-questioning I just mentioned. When someone narrates something they just read, this is what happens: The mind asks itself, 'what happened next?' to remember each consecutive detail. This is why it's so important that only one single reading be allowed. Trying to use rote memory techniques weakens the power to focus the attention, which is exactly what the mind needs to do. If the teacher wants to ask questions so that certain points are emphasized, they should be asked after the narration, not before or during. Another thing to keep in mind: the intellect needs a moral motivation. We tend to rouse our minds to action better when we know, somewhere in the back of our minds, that there's a reason that we must. For students, that reason is that they'll be required to narrate or write from what they just read, and they'll have no opportunity to look things up or otherwise refresh their memory. Children enjoy narrating so much that the teacher hardly ever has to coax students to do it. When he [the child] articulates knowledge from a literary source, his version will be touched by his own unique personality, so that his reproduction becomes original. I propose a test. Read a 6-10 year old child a vivid, concise account of some incident and ask him to tell it back. He will relate it detail by detail in his own words, adding his own delightful touches. In fact, months later, he'll still be able to talk about it because he has visualized it in his mind and made that knowledge 'his own.' A rhetorical passage written like a newspaper article won't even make any impression on the child. A passage read a second time may get a more accurate narration because the child has memorized some of it, but his narration won't have the stamp of his own individuality. An older child might read one of Bacon's essays or something from De Quincey and he might write or tell about it with flair right afterwards, or even months later. We've heard how Mr. Fox recited an entire pamphlet by [William?] Burke at a college supper even though he probably read it only once. This is the result of attention, interest, literary style, wide vocabulary, love for books and skill at articulating. We all feel that these things should be included in an education that begins at school, but continues to be a way of living for the child's whole life. This is something we all want. I think children should get familiar with the practice of learning from books even before they learn the mechanical skills of reading and writing. And this is fun for them. They fix all their attention to a paragraph or page being read aloud, and then they're able to tell it back point for point in their own words. But it takes literary English to draw this skill out of children. A child loses nothing by taking his time and spending two years on the mechanics of decoding text to learn to read, or learning to write, because, during this time, he is still getting knowledge from books in history, geography, stories and the Bible because his books are read aloud to him. He pays close attention and has a wonderful ability to reproduce the information in his narrations--which amounts to him translating the material to himself in a way he can understand. Meanwhile, the books he listens to are giving him a large vocabulary and the ability to tell things in order. Narrating will help them prepare for public speaking, which is a skill that everyone should have these days. Then the teacher will read the Scripture text and the children will narrate. The commentary merely serves as a background for their thoughts. Their narrations are usually very interesting. They don't miss even one point, and they add colorful touches of their own. Before the end of the lesson, the teacher brings out any new concepts about God or points of behavior that may have been included in the reading. She emphasizes the moral or religious lesson in a reverent, sympathetic way, and doesn't attempt to tell them how to apply it personally. Narration actually encourages students to pick up on this. Each incident they narrate becomes a complete event in their minds, the teachings will unfold as they talk about it, arguments will be more convincing when they articulate them, and the characters in the Bible will seem as real as people they know in real life. It's our job to make sure that every student knows, and is able to tell back in either oral narration or written essay. Using this method, we can cover so much material so well that students won't need to review before their exam. Children won't be able to read it themselves since it isn't written down to a six-year-old's level. So the teacher reads it aloud, and the student tell it back, paragraph by paragraph, passage by passage. The teacher doesn't talk much, and never interrupts a child who is narrating. The first attempts at narrating may be stumbling, but soon the children get a feel for it and are able to narrate back long passages accurately. The teacher might let other children correct narrations. The hardest part for the teacher is looking receptive and interested, perhaps commenting on a passage that's been narrated, or showing a picture, that sort of thing. We know that if a person, whether a child or adult, can tell something, they really know it. But if he can't put it into words, then he doesn't really know it. The practice of 'telling back' was probably used more often in the 1500's and 1600's than it is now. In Shakespeare's play Henry VIII, three men meet together. One of them has just come from the Abbey after witnessing the coronation of Anne Boleyn. The others ask him about it, and he tells them all about it with the detailed vividness and accuracy that we usually expect from children. For Shakespeare, this 'narration' was a stage device, but he probably wouldn't have used it if it seemed strange, so people in his day must have been used to narrating. Even today, we appreciate someone who's good at telling stories with flair. Only a generation or two ago, men studied the art of telling a good story, because it was expected of a gentleman. But someone may ask, isn't that kind of skill just rote memorization? When someone has to memorize a passage, they use some tricks and lots of repetition, but their mind isn't thinking about the passage, they're usually thinking about something else. Their mind isn't really actively involved in the act of memorizing. But reading a passage with the whole mind focused on that passage so it can be told back is a totally different thing and has a drastically different effect. French philosopher M. Henri Bergson (1859–1941) made a distinction between word memory and mind memory. Once we understand the significance of that difference, it will inspire major changes in our educational methods. With mind memory, as we read, we visualize a scene in our mind, or we become convinced by an argument, or we take pleasure in the style of sentences and try to think up some sentences of our own in the same style. And that bit of text is assimilated into our mind and becomes part of us every bit as much as the dinner we had the night before. In fact, more so! Because yesterday's dinner doesn't matter tomorrow, but even several months from now, we'll still be able to tell about that passage we read. It's as if we literally consumed it with all the detail and sharpness it had the first time we told it. All the powers of the mind (sometimes called faculties) are actively involved in dealing with the intellectual material that's treated this way. We must not interfere with the assimilation process by asking questions to get the child to reason, or show elaborate pictures to help his imagination, or point out moral lessons to sharpen his conscience. These things happen naturally, as unconsciously as the body digests food. Children in Form IB (first grade) need a lot of material read aloud, increasing incrementally in difficulty. They don't need to have their faculties developed from scratch, since they were born with the power they need. But they do need a little time to learn how to use their power of concentrating their attention and narrating. So young children should probably be allowed to narrate a paragraph at a time. By age seven or eight, they'll be able to tell a whole chapter at a time. Corrections shouldn't be made during narration [but can be made afterwards!] and narrations shouldn't be interrupted. Children shouldn't be hassled or pressured about using proper punctuation and capital letters when they write their narrations. Those things will take care of themselves if the child reads a lot, and too many coaxings to use correct punctuation usually results in the over-use of commas. After looking at the picture, it's turned over and the children narrate, telling what they saw, perhaps, 'a dog driving a flock of sheep along a road all by himself. No, wait, there's a boy, too. He's lying at the river, getting a drink. You can tell by the light that it's morning, so the sheep must be going out to graze in the pasture,' and so on. The children don't miss any details--the discarded plow, the crooked birch tree, the beautifully formed clouds that look like it might rain. There's enough to talk about to keep the children busy for half an hour, and afterwards, the picture will have formed such a memory that the children will recognize it wherever they see it, whether it's a signed proof, an oil reproduction, or the original itself in a museum. One thing we know, at any rate. No teaching, and no information, is processed as knowledge in anyone's mind until his own brain has actively assimilated it, translated it, rearranged it, and absorbed it so that it becomes a part of the person and shows up, like food that the body takes in, as part of the living organism. Therefore, teaching, lecturing, dramatizing, no matter how brilliant or coherent, does no good until the student becomes an active participant and goes to work on it in his mind. In other words, self-education is the only possible education. The students, not the teachers, are responsible for what they learn. They do the work by their own effort. Reading comprehension is tested with oral narration. Give students the kind of knowledge they were made to digest, served in a literary medium, and they'll pay great attention. What's our next step? Clever comprehension questions? No. As Dr. Johnson told us, questions are an intrusion, and they're boring. We have an ancient word of wisdom to guide us: 'The mind doesn't really know anything that it can't express by asking itself a question and coming up with an answer on its own.' Notice--not a question asked by someone else, but a question the mind asks itself. We all know the trick we use when we want to remember a conversation or sermon or lecture well enough to repeat it to someone later. We go over it in our mind first. Then our mind quizzes itself by asking itself one question, the same question again and again: 'What comes next?' And, before we know it, we have it, the whole thing! We've heard the story of how a young man once recited a complete pamphlet by Burke at a college supper. And those pamphlets aren't light reading! We admire that kind of feat, and think that such an accomplishment is out of our reach. But any fifteen-year old could do it if they were allowed to look at the pamphlet only once. Allowing a second look would be fatal, because nobody gives their full attention to something they expect to see or hear again. If we get used to the crutch of being able to go back to something, we lose the ability to pay attention--forever. The cure for this is very simple. Let the child (elementary age) tell back what's been read to him, all of it or even just part of it, right away. Then ask again a few months later during exam time. One might object, 'That's mere verbal memory.' All I can say is, try it yourself. Read an essay of Charles Lamb's, or maybe Matthew Arnold's. Or read Lycidas or the raven scene from Barnaby Rudge. Then put yourself to sleep, or wile away an anxious or boring hour by repeating to yourself what you read. The result will be disappointing. You'll find that you forgot a certain point, or a link in the chain of an argument. But you'll know the gist of the whole thing surprisingly well--the events, the characters, the subtle line of reasoning will stand out in your mind like figures on a relief sculpture cut in stone. You'll find that you've taken in 'mind stuff' that will be used in a thousand ways, perhaps for the rest of your life. But now we've proved that students, even inner-city students, are fully capable of understanding any book suited for their age. Children of age eight or nine are able to grasp a chapter of Pilgrim's Progress after a single reading. 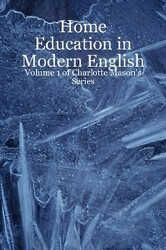 Students of age fourteen can read one of Lamb's essays, or a chapter of Eothen. Seventeen-year-olds can narrate after reading Lycidas. If you give children a well-written literary book suitable for their age, they'll have no problem dealing with it --they don't need us to spell it out for them. Of course, they won't be able to answer leading questions about it, because questions are an annoyance that all of us resent. But they will be able to tell back the whole thing with their own little individual touches. This might be the key to overcoming the huge difficulty of teaching humanities in English. We don't have to be overwhelmed with the thought of trying to cover such a large body of material at a snail's pace to try to make sure the student gets something out of the author he's reading. The slow process is our own invention. Instead, just let the student read it and tell it back, and he'll know it. Yet these children show themselves capable of hearing or reading a well-written book, and, after just one single reading, narrating passages with enthusiasm and accuracy. They don't balk at even the longest names, and they don't muddle complicated statements. This was a revelation to us. It proves that a literary education isn't out of reach for anyone, and it doesn't have to take tedious and difficult preparation, but it can work immediately. All children need is the right books, and the right methods. Some people smile politely and say that all things have something good in them, and one educational method is as good as another. In fact, they say, taking a little from each of them should work just fine. But this kind of casual attitude doesn't provide enough conviction in any one method to try very hard--so the resulting progress is disappointing. I feel strongly that trying to use my method without following its few principles will be worse than useless--it will be disastrous. One teacher said, "If we had your booklist, we could accomplish anything!' So he used the booklist--but utterly failed because he ignored the principles [CM's 20 Principles]. We teachers don't like to brag by coming right out and saying that we're better at handling a subject than a carefully selected author who specializes in writing books about that subject. One bright young teacher said, 'Yes, but we know more about reaching the minds of children than any writer, no matter how eloquent, who speaks through the pages of some dull book.' But this is the misconception that we're finally getting rid of. We've shown that the bulk of knowledge, taught in a way that leaves a vivid impression and encourages sound judgment, gotten from the right books, is far superior and visualized much more sharply by students than hearing lectures from even the most enthusiastic and effective teacher. That's why we insist on the use of books. It isn't because teachers are incompetent. It's because a student can't really know something unless his mind actively processes and assimilates it by itself, without someone else's influence. After the reading, the students narrate. They're able to narrate with striking accuracy, adding their own originality, yet conveying the truth that the teacher indicated. This isn't a case of rote memory. It's the result of assimilating the passage so well that it's become a part of them. If you try this method yourself, perhaps by reading and then narrating the story of Nicodemus, or Jesus' talk with the woman at the well, you'll see how clear each incident becomes to you, and how every phrase has a fullness of meaning as a result of your own personal effort. Training muscles and experiencing through the five senses may be necessary, but that's not the way the mind grows. And lectures from a teacher are rarely assimilated. The only true education is self-education--it's only when the student applies his own mind to learn that the mind is affected. I'm anxious to tell you what my great discovery is because our methods are so simple and so obvious that people tend to grab them randomly and say, for instance, that lots of reading 'is a good idea that we've all used, more or less.' Or narration 'is a good idea, but not very original.' Yes, it's true--we've all read, and we know that narration is as natural as breathing. The value of narration varies in proportion to what's being narrated. But what we've failed to see until now is that a craving for knowledge (curiosity) exists in everyone. All people have the ability to focus their attention without measure. Everyone prefers knowledge in a literary form. People should learn lots of different things about all the different thoughts that humans reflect on. But learning can only happen if the person's mind participates in an active 'act of knowing.' Narration encourages this kind of actively involved self-learning, and it also assesses it. Later tests can record what was learned. You might say, 'that's nothing new.' And you're right, I don't think that any natural law seems very original or innovative. We already think of flying as pretty routine. Yet, although there may be no astonishing surprises when we look at natural laws, the results of following them can be very astonishing. We willingly submit these methods to the test of results. Even in cases where the children were mentally handicapped, we've seen that any person can understand the appropriate book (one that's suited for his age) but the book has to be in literary (story) form. Students don't need anyone to explain what the story means to them and their attention doesn't wander when they're occupied this way. They can master a number of pages so well after just one reading that they can tell it back immediately, or even months later, whether it's Pilgrim's Progress, one of Bacon's essays, or a Shakespeare play. They add their own individual touches so that no two students tell it back in quite the same way. A natural side effect of this is that students learn to write and speak with confidence and flair, and they can usually spell well, too. This art of telling back is real education, and it's very enriching. We all do it naturally. We go over the points of a conversation or sermon or article in our mind. We're made so that only those points and arguments that we go over in our mind are the ones we retain. Haphazard listening and reading might be refreshing and entertaining, but it's only educational here and there, the random times that our attention is strongly engaged. When we go over information in our mind, we don't just retain it, we also come to understand it better. Every incident stands out, every phrase takes on new meaning, each link in an argument seems more firmly linked to the next one. What's happened is that we've taken an active part in the 'act of knowing' and what we read or heard has become a part of us. We assimilate it by rejecting what our mind doesn't need. Like the famous men of ancient times, we've discovered 'the knowledge best suited for people,' and we're surprised to find that people need the very best knowledge, conveyed in the very best form. We understand that people have to participate in the act of knowing. Nobody can learn without involving his own mind in the process. Each person has to do his own learning for himself, but it's as pleasurable and as natural as a bird singing its song. In fact, the act of knowing is a natural function. A few educational catch-phrases might do us some good: 'Don't explain.' 'Don't question.' 'One single reading of a passage is enough.' 'Make the student tell back the passage he's read.' The student has to read in such a way that he knows, and the teacher's job is to see that he knows. The activities of generalizing, analyzing, comparing, judging, and so on, are things that the mind does for itself. That's part of the process the mind goes through when it's actively learning. Do you doubt it? Try it yourself. Before you go to bed, read a chapter of something like Jane Austen, or the Bible. Then put yourself to sleep by retelling it back to yourself in your mind. You'll be surprised at the degree of insight and visualization you gain from this kind of mental exercise. Children should read with the goal of knowing, whether the book is Robinson Crusoe or Huxley's Physiography. Their comprehension should be tested with oral (or occasional written) reproduction of the passage, not with comprehension questions. And they should do this after only one single reading. Everything else that the mind does to process the information, the mind does on its own, in spite of our concerns about how to teach it. Copyright © 2012-2014 Ambleside Online. All rights reserved. Paraphrased by L. N. Laurio; Please direct comments or questions to AmblesideOnline.